We have worked really hard to find a quality, 100% handmade product that we’re truly proud of. We’re all about keeping it simple, so it is for that reason, that we offer one flushmount album style, in a 10 x 10" and 8 x 8" square format. Our albums are available in 10x10" and 8x8" and start at 20 spreads (40 sides), going up to a maximum of 45 spreads (90 sides). Our luxurious matte paper provides a beautiful surface for our professional archival inks. With remarkable colour reproduction, your images will look rich and detailed that you will treasure your albums for years to come. Each page is creased, rather than scored, to ensure that there are no gutters or cuts in the binding, allowing your images to truly shine. Pages are glued back-to-back, so each spread is approximately 1mm thick once bound. 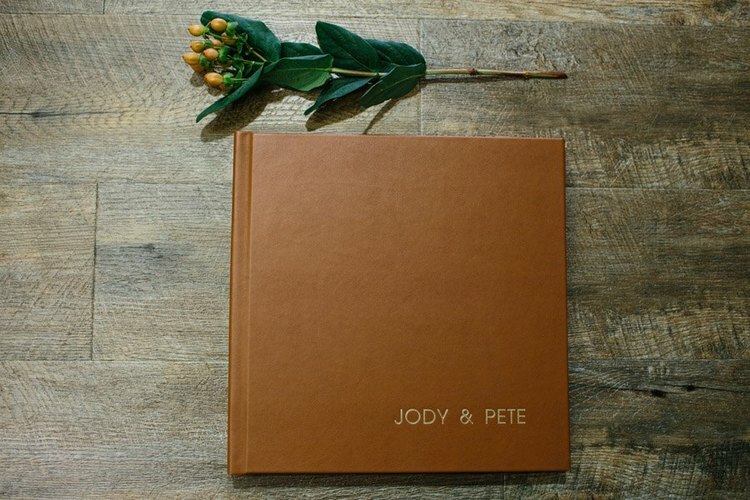 Our albums are 100% handmade, using archival glue to ensure they stand the test of time. We offer a range of beautiful textured book cloths from Germany, top grain Italian leathers (a free upgrade!) and for the discerning couple, premium leathers from South America. You can personalise your cover with debossing and foiling options, using the range of standard fonts, or we can supply your own custom font for that extra special touch. We offer both debossing and foiling to make your cover extra special. You can choose from our standard range of fonts. or you can choose your own custom font. Debossing is the process of creating a recessed or indented image or design in a material, using a metal die. There is no ink involved, so you are left with a beautiful and subtle impression. This process is suitable for both our fabric and leather ranges. Foiling is the method of transferring a metallic or pigment finish on to a material using heat and pressure. The result is a shiny, slightly debossed look. 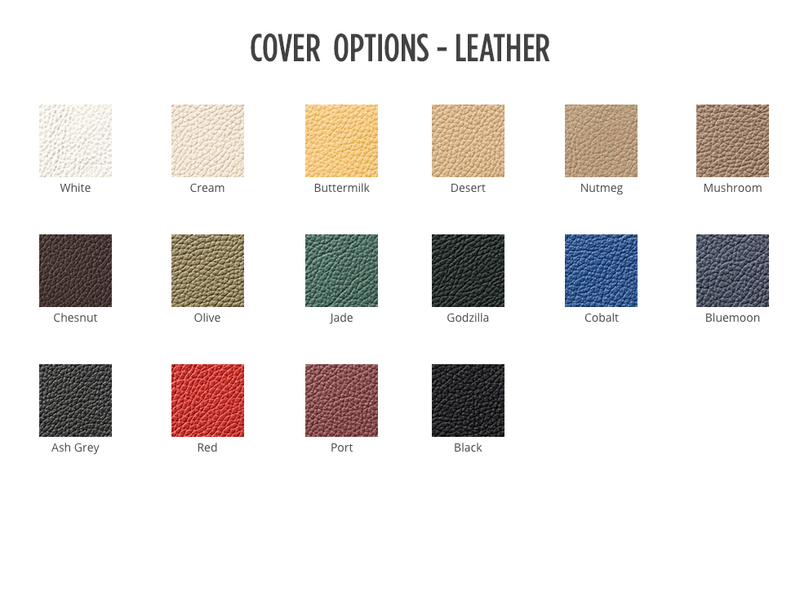 The process is best suited to our leather ranges. Please enter the name of the cover material colour you wish to have. Make it fancy! Foiling and debossing options available. Choose from our standard library of fonts or choose your own custom artwork (price based on size). Please see fonts in Personalise Your Cover Gallery. Please type the EXACT wording that you would like debossed/foiled. If a second line is applicable, please type the EXACT wording that you would like debossed/foiled.